There are many models for doing creative work. One approach is to use the power of setting yourself a deadline. Taking this approach focuses the mind. Setting a deadline forces you to gather your thoughts, follow a discipline and deliver the goods. Deadlines work particularly well with adrenaline driven people. Such people sometimes put things off until the last minute or get distracted by other exciting adventures. Having to meet a deadline forces them to channel their energy and deliver by a certain date. Sometimes a person may set themselves a deadline. Sometimes it may be set by outside forces. This will be the case if they aim to perform in a play, pitch for a piece of business or compete for a Gold Medal. The key, however, is for the person to choose to follow their drive. They will then be more likely to do their best to deliver the goods. Looking back at your life, can you think of a situation when you went through these stages? You may have been studying to pass an exam, writing a book, training for a marathon, clearing a debt or whatever. What did you do to follow your drive? How did you set yourself a deadline? How did you follow the required discipline ? 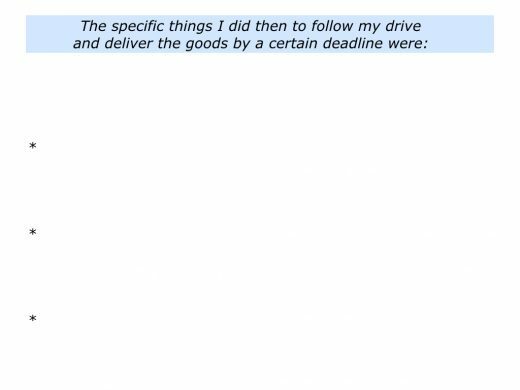 What did you do to actually deliver by the deadline? 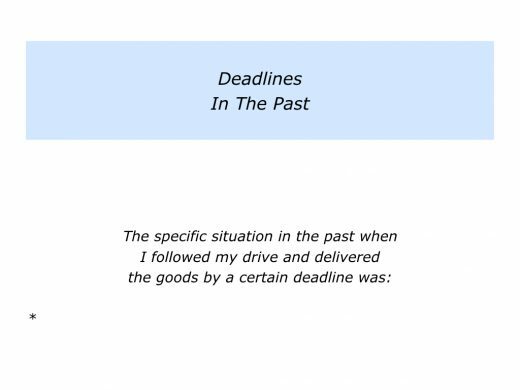 Describe a specific situation in the past when you followed your drive and delivered by a deadline. 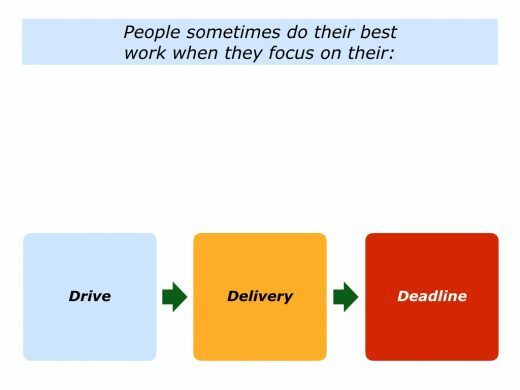 Different people combine the elements of drive, delivery and deadlines in different ways to do fulfilling work. Let’s explore how you might apply these in your own way. What are the things that you feel driven to do? You may want to encourage people, care for nature, help people to take charge of their health, fight for human rights, solve technical problems, encourage future generations or do other activities. How can you express this drive? You may want to translate it into action by showing kindness each day, writing books, running seminars, creating beauty, making films, passing on knowledge, building successful prototypes or whatever. Imagine that you want to pursue a particular project. What are the conditions that will enable you to complete it successfully? What support may you need? How can you encourage yourself on the journey? Daniel Pink offers another perspective on such motivation in his book that is appropriately called Drive. He says that individuals are more likely to produce fine work when the following three conditions are present. They have the chance to be self-directing. They have the chance to develop their skills. They have the chance to do something that is important and provides a sense of purpose. Below is a video from the RSA that provides an introduction to this approach. The first part explains why some of the older methods of trying to motivate people fail. The video then goes on to explain how people can express their drive if they focus on autonomy, mastery and purpose. You can discover more about Daniel’s work via the following link. Imagine that you want to follow your drive. What is the specific thing you want to deliver? What is your deadline for delivering the goods? What is your action plan for doing the work and reaching the destination? 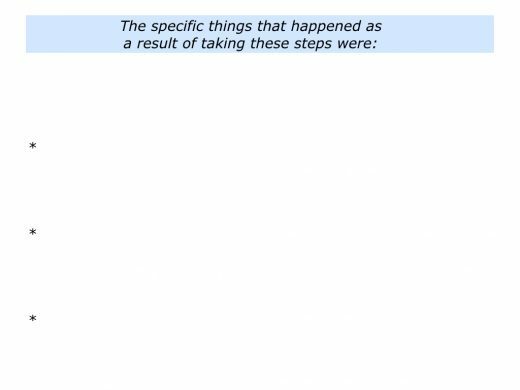 Different people use different methods for clarifying their action plans. Many start from their destination and work backwards. They then list the milestones to be passed on the road towards achieving their picture of success. 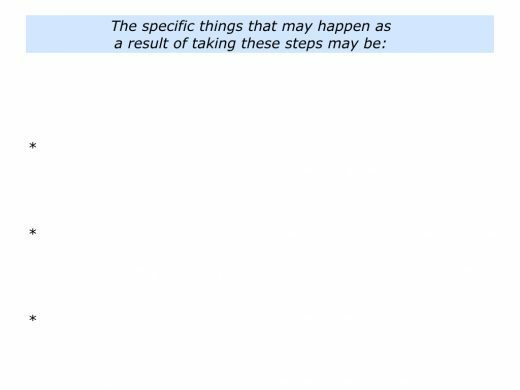 Imagine that you have created your action plan. How can you do your best to deliver the goods? One approach is to follow a daily rhythm that enables you to reach the goals. You may start the day by following certain rituals and then embark on your work. You may organise your time in blocks and work for short intense periods. It will also be important to build in time for rest and rejuvenation. How to encourage yourself? Some people set short term goals – for each hour or each day – and tick off these as they work towards achieving their long term aims. This can help to provide a feeling of success. Daniel Pink talked about the importance of having a sense of purpose. Bearing this in mind, it can be helpful to remind yourself of why you are aiming to achieve a particular goal. If appropriate, you can create your own version of the following framework. You may then want to keep looking at it each day. Imagine that you are following your daily rhythm on the way towards delivering by a certain deadline. Sometimes you will have ups, but there may also be downs. How can you deal with any setbacks on the journey? One approach is to learn from people who have overcome extreme difficulties. Dennis Charney and Steven Southwick outlined the lessons we can learn from such people in their book Resilience: The Science of Mastering Life’s Greatest Challenges. They studied returning prisoners of war and those who had experienced violence or trauma in their lives. Some people seemed to thrive and overcome the adversity. So what were they doing right? To have a positive attitude but also be realistic: to have a clear-eyed view about the challenges they were facing … To have a clear moral compass, such as a set of values, spiritual faith or sense of altruism. To welcome challenges and believe they can find solutions … To draw lessons from their own traumatic experiences … To have a strong social support network …To have resilient role models and to develop active coping skills. To recognise and foster their strengths, using them to deal with challenging situations … To care for their physical well being … To train regularly and rigorously in multiple areas – such as their emotional intelligence, moral integrity and physical endurance. Below is a video in which Dennis describes some of the findings. He also practised some of these approaches in his own life after being shot and wounded by a disgruntled former employee. Here is a link that describes the event. Let’s return to your own life and work. 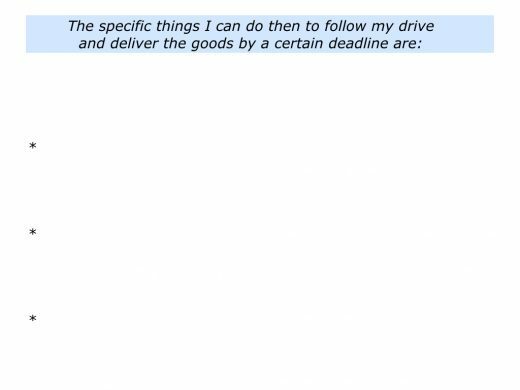 Looking ahead can you think of a situation when you may want to follow your drive and set a deadline for delivering the goods? What can you do then to follow your drive? What can you do to set yourself a deadline? What can you do to follow a daily discipline? What can you do to actually deliver by the deadline? 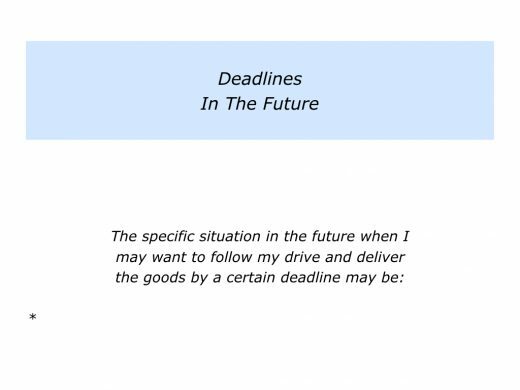 Describe a specific situation in the future when you may want to follow your drive and deliver the goods by a deadline.